Members of the Jerusalem City Council will act against the Western Wall Outline. Jerusalem City Council members Aryeh King and Dov Kalmanovich are backing Culture Minister Miri Regev in her decision not to support the outline of the Western Wall, which includes the expansion of the Ezrat Yisrael platform, intended for Reform worship without gender separation. "Two months ago, I tried to stop the construction by the southern wall and found myself almost alone in this matter," said King. "We will firmly oppose the approval of the Western Wall plan and the expansion of Ezrat Yisrael." 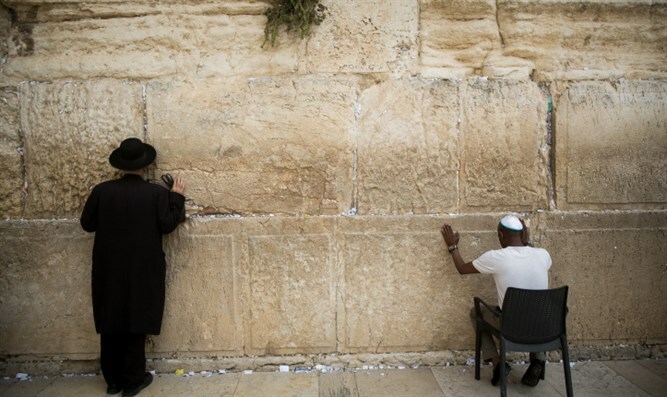 According to him, "the outline of the Western Wall constitutes a continuation of the damage to the status quo and to Jewish symbols in the public sphere, as can be seen recently. We will do our utmost to prevent this moral distortion.My thanks to the Minister of Culture, Miri Regev, who once again stands by Judaism in its war against external bodies that try to harm the Jewish tradition." Dov Kalmanovitch, the deputy mayor of Jerusalem and a member of the Planning and Building Committee, made it clear that once the plan reaches a planning and building committee, he and the other members of the committee will take steps to stop the implementation of the outline. "The trend of harassment of the religious in Jerusalem from the Chabad station at the central bus station to the Reform and Women of the Wall marks an anti-religious trend in Jerusalem, in contrast to the spirit of Jerusalem that prevails among the residents. "In Tel Aviv religious separation is removed from the city square. At the central bus station in Jerusalem is forbidden to put on tefillin and at the Kotel they want to take control of the Reform. They simply trample the religious and the haredim in various errands of fictitious pluralism and gender equality."